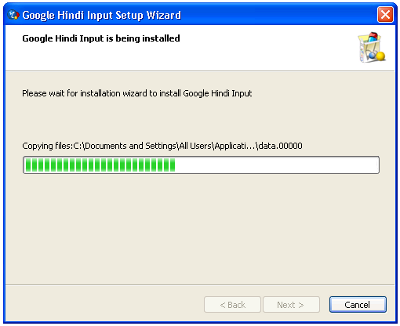 Learn how to install run and use Google IME to type in Hindi and many other Indian and foreign languages. GoogleIME is a free and easy to use typing tool that has enabled millions of people for typing in their mother languages. It is no longer necessary to stick to English on computer. 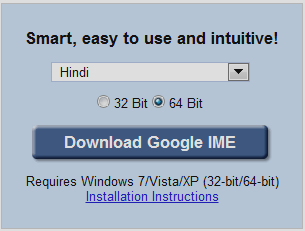 Those who want to type in Hindi on computer, Google IME comes as a very handy tool. In my experience, this is perhaps the best tool for typing in Indian languages. There are many other Input Methods (IME) tools available –I will talk about them in other articles. This article is dedicated to Google’s IME. You may already know that GoogleIME is free and it’s easy to use. At present, you can type in 22 different languages using this tool. The languages are: Amharic, Arabic, Bengali, Farsi (Persian), Greek, Gujarati, Hebrew, Hindi, Kannada, Malayalam, Marathi, Nepali, Oriya, Punjabi, Russian, Sanskrit, Serbian, Sinhalese, Tamil, Telugu, Tigrinya and Urdu. First of all go to Google’s website to download the Google IME software. You should make sure you choose the right kind of download. If your Windows in 64 bit –you should download 64 bit installation. Learn how to find if your Windows is 32-bit or 64-bit. Select bit count and language. Then click Download button. In order to begin typing, start the computer application (e.g. MS-Word) and then run Google IME. Apply all settings and try to display language bar as mentioned in previous section. Make sure that under System configuration, option Turn off advanced text services is NOT checked. Select Show the Language bar on the desktop. Click OK.
Make sure that options Install files for complex scripts and right to left languages and Install files for East Asian languages are checked in the checkboxes. This requires installation of system files and the system will prompt to insert the Operating System Disc. Read Also: Learn how to change hot keys for Input languages. Once you have selected the Language bar option as described above, you’ll see the status window of GoogleIME appearing in the bottom right corner of the screen. You can drag it around and place it anywhere on screen. As mentioned before, you should first run the target application (e.g. MS-Word) and then activate IME Language bar. Now start typing in MS-Word (or any other application of your choice), and you should see that typing is taking place in your chosen language. As you type, edit window of IME will appear giving you choice of words that you might want to type. You can select any of these words by navigation using UP and DOWN arrow keys. 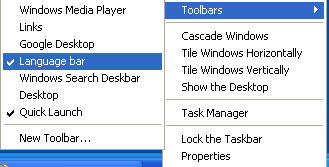 It is not necessary that you select a word from this window. You can go on typing and as soon as you will press ENTER key -the first word in the IME edit window will get printed in MS Word. While typing in your chosen language, you might need to type a few words in English as well. For this you can quickly toggle between languages using F12 key. While typing in Hindi, if you press F12 key, the input language will get changed to English. When are finished typing in Hindi, press F12 again to go to back Hindi. Sometimes, you will find yourself wondering how to type a particular character in Hindi. In such cases, you can bring up the on-screen keyboard by pressing CTRL+K. Now you can click on any character given in the keyboard and it will get printed. When you are done taking help from on-screen keyboard, press CTRL+K again and start typing on your physical keyboard. I hope this tutorial was useful for you in learning how to use GoogleIME on your computer. If you have any questions, please feel free to ask me! Dear blog holder request to you please remove this article from web because this software is removed from server by google. Google IME supports only Unicode font. It means that only some of the selected Unicode fonts only can be set there as default. Is there any way we can include ISM ML fonts to Google IME so that we can avoid converting them afterwards? No, I don’t think so. Non-Unicode fonts usually have their own typing scheme. So, for Google IME it may not be possible to understand how to type in a special font. Google IME does not type in Krutidev font. But there is a solution. You can type in Mangal font using Google IME and then convert the Mangal text into Krutidev text. its fantastic.. ತುಂಬಾ ಚೆನ್ನಾಗಿದೆ.. :) thank you. Thanks for this very useful info. Is this tool similar to the language tool available in Gmail or in Google translate? 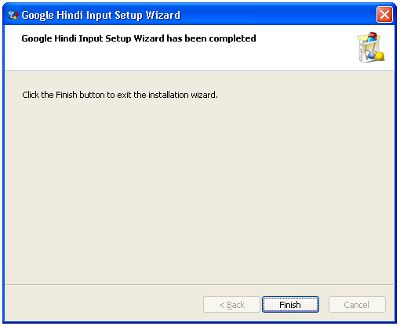 I am currently using a language tool that came with Hindi language pack of Office 2010. Is any comparison available between Google IME and Office 2010. which is better? 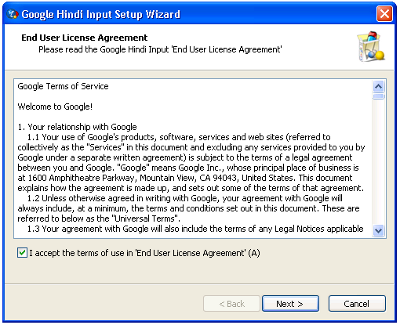 Will I have to un-install my MS Office Hindi pack before installing the Google IME. What happens to the documents already typed with other tools? Thanks for sharing. Is it something similar to Google Transliteration. Seems so. Thanks.